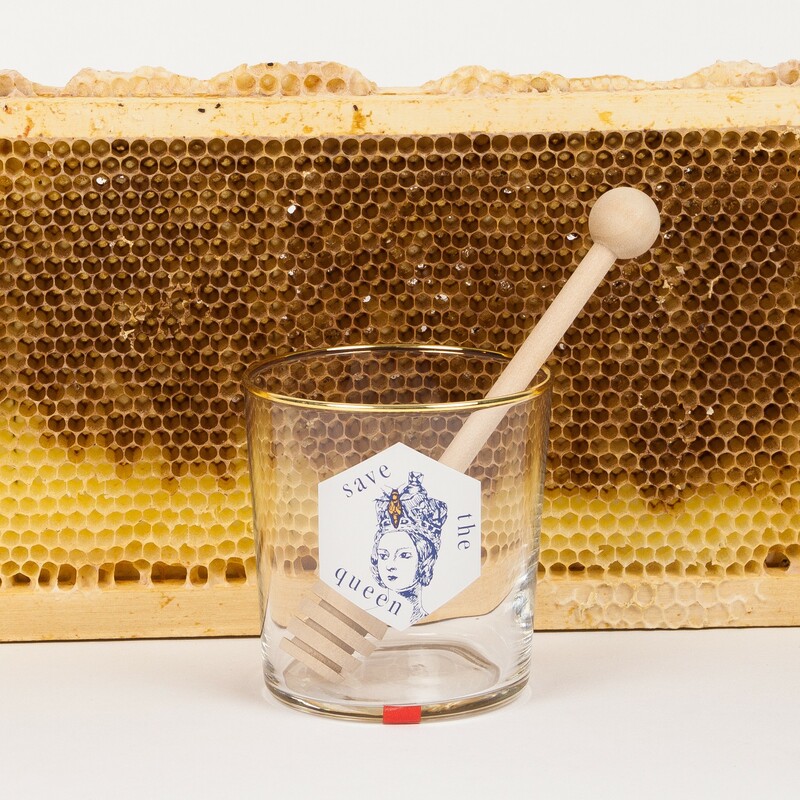 Save The Queen is a gin with urban harvested honey from the city of Ghent. 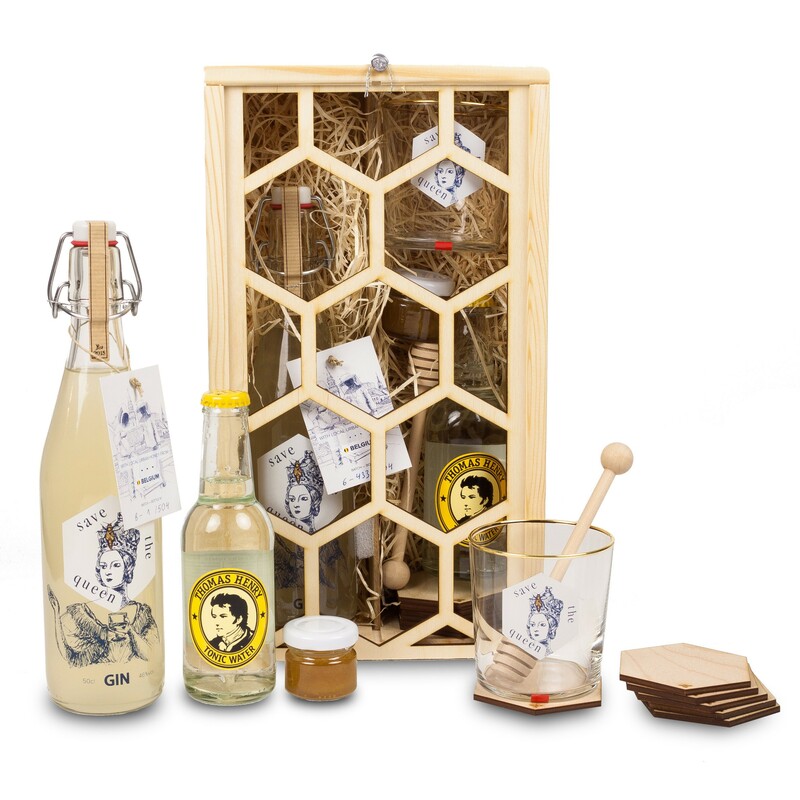 Give this wonderful giftbox to someone who loves gin and honey. 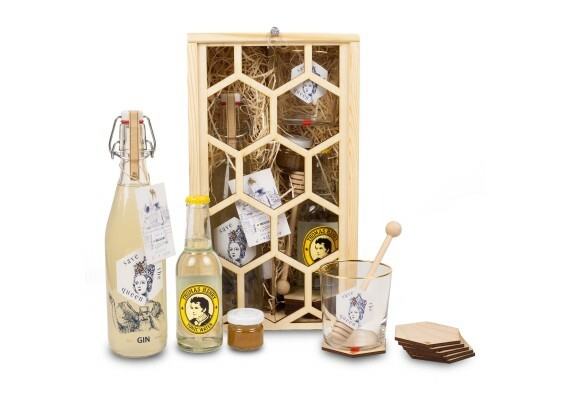 The giftbox contains a bottle of gin, one Thomas Henry Tonic and a glass. It also contains a small jar of fresh honey, a wooden honey spoon and 6 coasters. The drinkpads were obtained through cutting the giftbox with a lasercutter!